UPDATE: News of the discovery of a deckhand feared lost at sea has brought overwhelming relief to a family fishing business who had been desperate to find him alive. 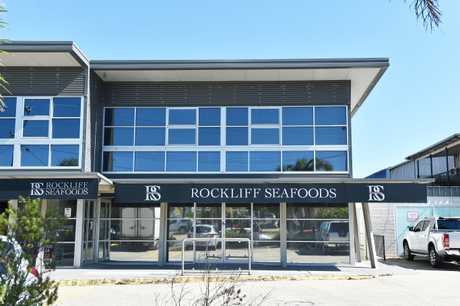 Rockliff Seafoods factory manager Vanessa Hughes' brother Peter Rockliff was skipper of the fishing boat Barameda-K, from which a 45-year-old Mooloolaba had been reported missing. The experienced fisher was thought to have fallen overboard about 2.30am Wednesday, sparking a 13-hour search of waters off Double Island Point. But a phone call from her brother, who was still out searching on Wednesday afternoon, brought her anxiety and fear to an end. "He just said 'he's alive, he's well, he's here with me' and to let everybody know," Mrs Hughes said. "We contacted police straight away." Police issued a statement at 4.25pm saying the man had been found in a compartment of the boat. "It's been a very trying day," Mrs Hughes said. "To see it has ended up like this is a great outcome." She said she didn't know the circumstances of what had happened but was confident police would get to the bottom of it. Police confirmed they intended to speak with the crew of the fishing boat. EARLIER: The 45-year-old Mooloolaba fisherman thought to have been lost overboard early this morning has been found safe on board the vessel. Sunshine Coast Water Police were advised shortly after 4pm Wednesday the man had been located safe and still onboard the Mooloolaba-based commercial fishing vessel. The man was found by members of the crew in a compartment on the boat. A huge air and sea search had drawn at least three helicopters and three rescue boats from as far as Yeppoon to look for the man. Water police will travel to the vessel, Barameda K, this afternoon to speak to the man and determine the circumstances surrounding this incident. All search assets have now been stood down. EARLIER: The search area for a missing Mooloolaba fisherman has expanded to about 133 square miles as helicopters and boats scour the sea in hope of a rescue. Police believe the man was not wearing a life jacket when he entered the water as the boat headed south about 30 miles east of Double Island Point. Searching will be suspended at last light to start again on Thursday at first light. 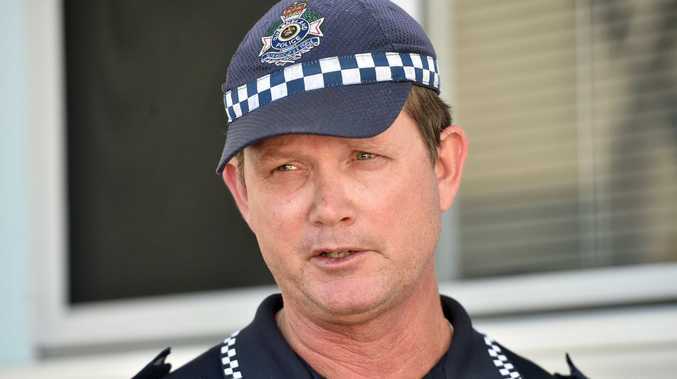 Sunshine Coast Water Police officer Senior Constable Murray Lyons said the man had been seen about 15 minutes before he was noticed missing at 2.30am Wednesday. 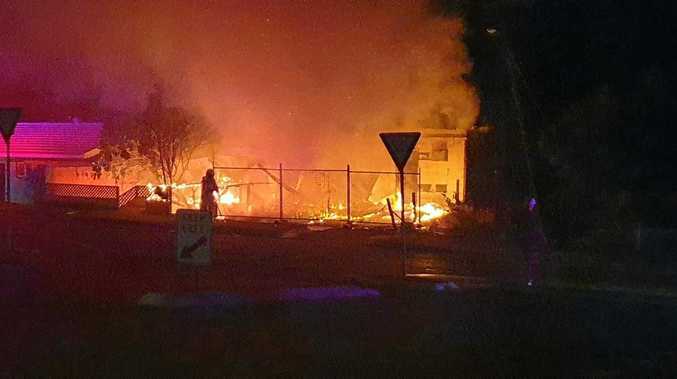 "At this point all we know is a crew member has gone overboard at some point," Snr Const Lyons said on Wednesday afternoon. He said because no one had seen the man go overboard there was no opportunity to throw him a floatation device. "There are obviously grave fears held for his safety having been in the water for so long and searches are continuing." He said the search area was growing exponentially due to drift and water movements. Police believe the missing man was the part of a crew of two which included Mooloolaba skipper Peter Rockliff. Mr Rockliff has remained a part of the search aboard fishing vessel Barameda-K since reporting his deckhand overboard. "The remaining crewman on the boat and another vessel undertook the initial search by following back on the line that they had travelled down and were unable to locate the crewman," Snr Const Lyons said. Snr Const Lyons said the distance to the area and time to first light had a toll on the effectiveness of rescue crews' initial response. He said the incident had been very hard on the skipper. "I haven't been able to speak to him at this stage. "Communication has been difficult because you are right on the edge of phone contact but it's obviously been very hard on him." EARLIER: The Coast's commercial fishing community is holding hope for a 45-year-old Mooloolaba fisherman who has not been seen since falling overboard while working off Double Island Point early this morning. Rockliff Seafood managing director Johnny Rockliff's brother Peter Rockliff was skipper of vessel Barameda-K when the man went missing about 3am. Johnny said the boat was not owned by his Mooloolaba business but did unload at his business. He said his brother was pretty upset and remained in the search area as a part of a team of boats and helicopters looking for the missing man. "They had just pulled up at sea, preparing for a day's work," Johnny said. He said he did not know any further detail on what had happened. "He (the missing man) was an experienced fisherman." He said he remained hopeful the man would be found. "There is hope he might show and that's all we can pray for." Fellow Mooloolaba-based fisher Jason Simpson, of Fraser Isle Spanner Crabs, said he knew very little about the incident but said the man's disappearance had a widespread impact. "It's a tragic day for the fishery," Mr Simpson said.